Hiring a two-way radio system is a great way of utilising the most advanced radio equipment on the market, without the substantial capital expenditure. 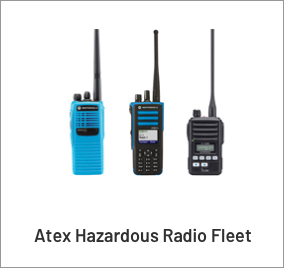 Take advantage of our state-of-the-art hire fleet whether you want a short or long term two way radio hire. We offer next day delivery throughout the UK. Call our radio hire team for more information on 0151 334 9160. 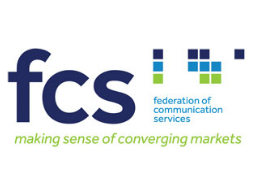 SFL Mobile Radio is a member of the Federation of Communications Services. 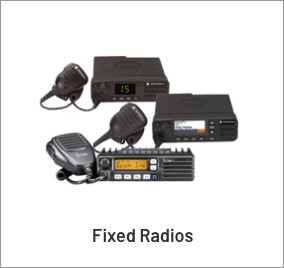 SFL Mobile Radio offers Ofcom licence management, and our products and set-ups are Ofcom approved. All SFL Mobile Radio systems comply with HSE’s guidance for Radio Communications. SFL Mobile Radio is dedicated to the supply and installation of radio frequency solutions both in the UK and worldwide. Many of our radio equipment hire projects require the development of bespoke integrated digital radio solutions and SFL’s team are fully certified and committed to tailoring the optimum radio communications solution for your organisational needs. 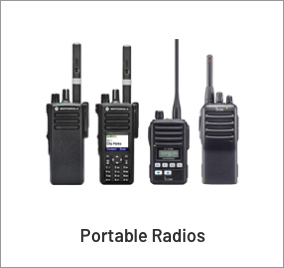 We only supply tried and tested radios and accessories from the most recognised manufacturers including Motorola, Sepura, Hytera, Kenwood and Icom. With over 11,000 units, and growing, our hire fleet is one of the youngest in the UK. 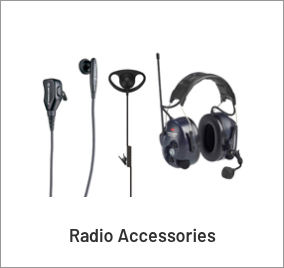 As well as 2-way radios, we also have an extensive range of earpieces, headsets, lapel microphones available for hire, please see our accessories page for more information. In 2017 SFL was awarded Platinum status in Motorola Solutions award-winning PartnerEmpower Program. SFL’s commitment to the industry and experience in the field has attracted a number of large commercial organisations, including Vinci Group, Siemens, Costain, Carillion, HTC Wolffkran as well as many branches of the UK Police Force, Military divisions, shopping centres and local Government. Read a selection of remarks and testimonials from some of SFL’s long-standing customers. We welcome enquiries from all industry sectors, whether you require a complex radio system or a two way radio hire for a short term event. SFL has provided, supported and partnered many of the major construction companies in the industry for digital two way radio hire, including Carillion, Costain, HTC Wolffkran, Kier, Mace, Renaker Build and Vinci Group. In order to enhance crane to ground communications on construction sites, SFL has developed a digital hands-free radio application which is installed within the cab of the crane. The crane radio set-up which uses a Motorola platform and employs DMR technology offers crystal clear radio transmissions and increased two way radio coverage, whilst reducing interference and background noise. 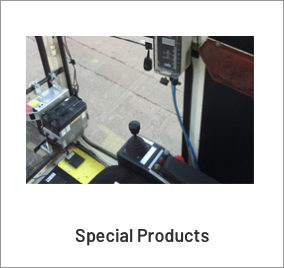 The crane hands-free radio is available to hire in two forms; a single and double. The double option is for multiple cranes on site where a ‘crash’ emergency radio system is used independently and two separate radios are required. SFL has supplied hundreds of construction sites with this bespoke communications tool for crane use which can either be installed by the customer or by a fully trained SFL radio engineer. SFL Mobile Radio offer a tailored radio package, including a current day solution as well as an ongoing partnership that will help your organisation’s communications evolve alongside your business needs. At the planning stage of every system, our team will assess your needs and possible future feature requirements in order to design the most suitable radio system within budget. And if required we offer onsite support to guide you through your project. If needed we will carry out a site survey to make sure you get the required coverage across your site. 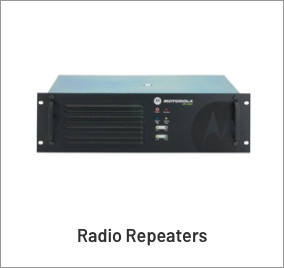 In order to increase a coverage area, it may be necessary to implement a repeater into your radio system, or even a series of linked repeaters. On planning your system we will advise you if a repeater is required. Repeaters are also available to hire. We offer a free one week trial period on your radio equipment hire, in order for you to assess the equipment in its proposed environment. If you require a dedicated radio frequency, a radio licence approved by Ofcom is necessary by law. Licensed radios have a greater power output and so offer increased range and coverage. A dedicated frequency also ensures that only those on that frequency can hear transmissions. Our Ofcom licence here at SFL covers all the equipment we hire out, so most of our customers will not need to get their own Ofcom licence for their two way radio hire. At SFL Mobile Radio we pride ourselves on customer service, offering a professional, friendly service to our customers. At the development stage of every system, our team will consider your requirements and possible future needs in order to design the most appropriate radio system within budget. If needed we offer onsite assistance to steer you through your project. Our team of engineers are qualified and have the technical expertise to deliver a first rate hire solution for your organisation. In 2017 SFL was awarded Platinum status in Motorola Solutions award-winning Partner Empower Program. Motorola Solutions channel partners are recognised for their knowledge and proficiency in producing original mobile and communications solutions. As a platinum partner, SFL has proven a rich technical awareness and understanding of Motorola products and services. In addition to the skills offered by our engineers, we have designated hire desk managers who will assist you throughout the project. In all industry divisions, supporting communications between you and your employees is important in maximising efficiency, thus resulting in greater customer satisfaction. 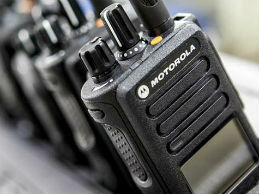 We welcome enquiries from all industry sectors in London, whether it’s for a short term or long term two way radio hire. Hospitality & Leisure, Security, Utilities & Power, Construction, Local Government, Education, Warehousing and Short Term Events (these will be clickable). The construction industry is SFL’s biggest market sector within the UK, with many of these projects taking place in London. Since 1997 we have supplied, maintained and partnered some of the largest construction firms in the industry for digital radio hire, including Vinci Group, Costain, Carillion, HTC Wolffkran, Renaker Build and Mace. In addition to standard two-way radios, our design engineers have developed a sophisticated crane hands-free radio system, which has successfully been adopted as a safety tool by many of the UK’s tower crane and crawler crane providers. The crane radio set-up which employs a Motorola platform and utilises digital DMR radio technology offers crystal clear radio transmissions and increased radio coverage, whilst reducing interference and background noise. The hands-free radio system allows the crane operator to fully concentrate on crane operations on a construction site, whilst maintaining contact with their lifting team, critical for safe lifting operations. The crane hands-free radio is available in two forms; a single and double. The double option is for multiple cranes on site where a ‘crash’ emergency radio system is used independently and two separate radios are required. Both options are approved by Ofcom for use within the UK. Radio equipment hire for short term events is another popular sector in London. Whether it’s a sporting, music, conference or carnival, SFL can provide a short term personalised radio solution to make sure that your event’s communications run smoothly and efficiently, in order for you to concentrate on making the event a huge success. Whatever your budget, we can offer Ofcom approved analogue simple two way walkie talkie communications to a full digital radio networkwith trailer mast for increased radio coverage requirements all within minimal notice period. We only stock radios and accessories from the most recognised manufacturers including Motorola, Sepura, Hytera, Kenwood and Icom. Continued commitment investing into our hire department has created a fleet of over 11,000 units and this is rapidly growing. And for your peace of mind our equipment is one of the youngest fleets of hire radios within the UK. As well as 2-way radios, we also have a full range of earpieces, headsets, lapel microphones available for hire, please see our accessories page for more information. We are more than happy to carry out a site survey in order to check you receive the necessary coverage across your site. If a greater coverage area is required, we may need to employ a repeater or a sequence of linked repeaters into your radio system. Repeaters are also available to hire. We offer a free one week trial period on equipment, so you are able to evaluate your radio equipment in its planned location. In order to access a dedicated frequency, a radio licence granted by Ofcom is required by law. Licensed radios have a larger power output and so offer increased range and coverage. Licensed radios are generally more robust, with clearer audio quality and the conversation more secure. SFL’s Ofcom licence covers all our equipment hired out, so the majority of our customers will not need to obtain an Ofcom licence of their own.